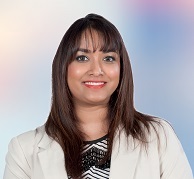 Ms. Stasshani Jayawardena joined the Aitken Spence Group in January 2010 as a Management trainee. After gaining experience in several of its key strategic business units and group companies she was appointed to the Board of Aitken Spence PLC, in December 2013 and to the Board of Aitken Spence Hotel Holdings PLC, in July 2014. She was then appointed as Chairperson of Aitken Spence Hotel Managements (Private) Limited in January 2016 and is overall responsible for the tourism sector of the Group that includes hotels, destination management and overseas travel. A graduate of St. James’ & Lucie Clayton College and Keele University in the United Kingdom, Ms. Jayawardena was the youngest intern to work under US Senator Hilary Rodham Clinton and the Former US President Bill Clinton in 2003. She is the Sri Lankan Ambassador of the EY NextGen Club. She is the Chairperson of Splendor Media, a leading advertising and communication company. She is also a Director at Stassen Exports (Pvt) Ltd., Milford Exports (Ceylon) (Pvt) Ltd., Stassen Natural Foods (Pvt) Ltd., Ceylon Garden Coir (Pvt) Ltd., Milford Developers (Pvt) Ltd., Stassen Foods (Pvt) Ltd., C D B Exports (Pvt) Ltd., EcoCorp Asia (Pvt) Ltd. At present Ms. Jayawardena leads a team of international professionals in strengthening the service foundations and formulating a strategic road map for the tourism sector of the group. Mr. Jayawickrama has been with the Company for almost 27 years and at present, he is the Joint Managing Director of Aitken Spence Hotel Managements (Pvt) Ltd. He is responsible for managing all Group Hotels in overseas markets. Mr. Jayawickrama serves on the Boards of most hotel companies in the Group including that of Aitken Spence Hotel Holdings PLC. A Fellow of the Chartered Institute of Management Accountants UK, he has substantial experience in senior management positions in the Group’s hotel sector with exposure in the tourism industry in Sri Lanka and overseas. Mr. Jayawickrama is a past Vice President of the Tourist Hotels Association of Sri Lanka (THASL). Mr. de Silva is the Jt. Managing Director of Aitken Spence Hotel Managements (Pvt) Ltd., with specific responsibility for the Group’s local hotel portfolio, having joined the Group in February 2017. He was formerly the Managing Director of the Hemas Hotel Sector and has expansive experience in both local and overseas markets encompassing diverse industries. He is a Fellow of the Chartered Institute of Management Accountants UK, an Associate of the Institute of Chartered Accountants of Sri Lanka and a Member of the Chartered Institute of Marketing UK. Currently, he also serves as an Independent Non-Executive Director of Singer (Sri Lanka) PLC, Singer Industries (Ceylon) PLC and Regnis (Lanka) PLC. Mr. Rohitha Rajaratne is the Head of Engineering at Aitken Spence Hotels. He is a Chartered Mechanical Engineer by profession and counts over two decades of professional experience after graduating from the University of Moratuwa. He served in the Sri Lanka Navy for over a decade and has had extensive overseas training and work experience in Australia and New Zealand. He has obtained a Postgraduate Marine Engineering qualification from Germany, holds a MBA from the University of Colombo and MSc. in Sustainable Engineering from the University of KTH Sweden. He is a fellow Member of the Institute of Engineers – Sri Lanka, and also an accredited International Professional Engineer. Mr. Bjorn van der Horst is a multiple Michelin starred Chef, Food & Beverage Director and Creative Entrepreneur. He heads all Food & Beverage Strategy and Operations for Aitken Spence Hotels in Sri Lanka and overseas. Bjorn brings with him a wealth of experience opening and building successful independent and branded hotel food & beverage businesses from New York to London and Maldives. He obtained his first Michelin star in New York City as Executive Chef of Picholine restaurant in 2002 at the tender age of 30. He soon went on to gain further Michelin stars in NYC and London. In 2006, Bjorn set up his first independent business in partnership with Gordon Ramsay which triggered a desire to learn more and slowly step away from the kitchens. In 2010, Bjorn sold his businesses in London and took the position of Director of Food & Beverage with Six Senses, overseeing the Hotel F&B operations in Maldives and Thailand. At Soneva Fushi, he created the first fully Carbon Neutral restaurant in Maldives re-inventing traditional Maldivian recipes into contemporary dishes. Most recently, Bjorn was a member of the Strategic Executive Committee for Rosewood hotels and resorts as Director of Food, Beverage and Kitchens overseeing the renovations and opening of the iconic Rosewood London, and planning the renovations and strategy for Rosewood Crillon in Paris, opening this year. Forever the entrepreneur, he remains Director and CoFounder of Bone Tea LTD, a small but burgeoning quick service restaurant and retail brand in the UK, and an honorary member of the Chefs Guild of Sri Lanka. Aitken Spence Group and prior to this he was the Executive General Manager of Heritance Kandalama. He is a professional hotelier counting more than twenty five years of experience in Sri Lanka and overseas. (FCHSGA). He is also a Consultant for ISO 9000 quality systems. He has served as an Executive Committee Member of the Regional Economic Development Agency (REDA) representing the tourism industry in the Central Province under the Central Provincial Council and also served as a committee member of the CHSGA in 2010. Mr. Dammika Ekanayake is the Asst. Vice President Finance of Aitken Spence Hotels. He has local and international exposure in senior management positions spanning over a decade. He counts over two decades of experience in the fields of Auditing, Finance, Operations and General Management. Prior to joining the group, he was the Director Business Administration for CMA-CGM SSC Lanka. He obtained his MBA from University of Colombo. He is a Fellow of the Institute of Chartered Accountants of Sri Lanka, an Associate of the Chartered Institute of Management Accountants UK, and a Fellow of the Institute of Certified Management Accountants of Sri Lanka. He is a gold medalist from the Sri Lanka Institute of Marketing. Mrs. Irandi Wijegunawardane is the Assistant Vice President of Accommodation sector for Sri Lanka and India. Prior to taking over this new role, she handled Learning & Development for the same sector. She is a graduate of the Sri Lanka Institute of Tourism and Hotel Management (SLITHM) and counts over 33 years of extensive experience in the Hospitality Operations and Training & Development in Sri Lanka and Overseas. She has obtained a National Diploma in Training and Human Resources Development (NDTHRD) from IPM and holds a Commonwealth MBA from the Department of Management Studies of the OUSL in partnership with the Commonwealth of Learning (COL) in Vancouver, Canada. She is a qualified assessor for National Vocational Qualification under Tertiary and Vocational Educational Commission (TVEC). She is also a Certified Hospitality Educator (CHE) from American Hotel and Lodging Association (AHLA). Mr. Srinith De Silva is the Chief Executive Officer of the Oman Sector. He is a Graduate of the Victoria University, Melbourne and counts many years of experience in international hotel chains, such as Sheraton, Raffles and Stamford. He has more than 19 years of experience in the hospitality industry in senior managerial positions handling operations and marketing in Saudi Arabia, Australia, Sri Lanka and India. Mr. Badhiya Gunathilake is the Chief Operating Officer of the Adaaran Resorts, the Maldives Sector of Aitken Spence Hotels. He is a Graduate of the Ceylon Hotel School, and is a professional hotelier, counting more than twenty years of experience in the hospitality industry, including senior managerial positions, handling hotel operations in Sri Lanka, Oman & Maldives. Mr. Arun Raj. D, serves as the Director/General Manager of Turyaa Chennai – the Group’s five star deluxe business hotel in Southern India. He is a graduate from SRM Institute of Hotel Management, which is one of the most renowned private institutes for producing Hoteliers in India. He started his career with Taj in the prestigious Butlers Management Team and moved to Adaaran Prestige Water Villas as a pre-opening member. He was part of the management team responsible for gaining international recognition and accolades. He leads the team at Turyaa Chennai, which position he has held for the past 5 years. He is a member of FHRAI (Federation of Hotels and Resorts Association of India), SIHRA (South Indian Hotels and Resorts Association and also a member of SKAL International.